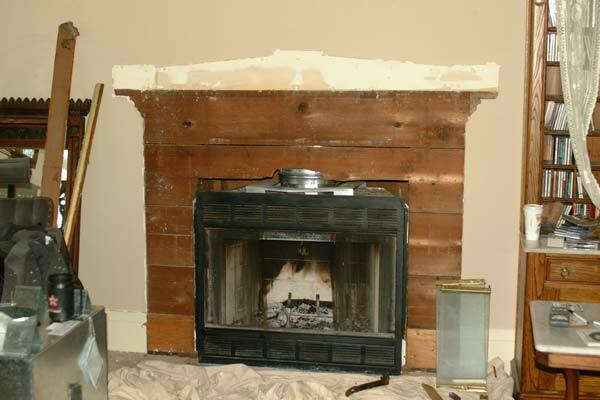 Work started today on installing our new fireplace. 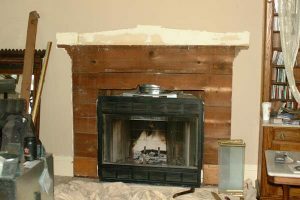 We are replacing the existing wood burning (yet not original fireplace) with a new gas fireplace that looks like an old Victorian coal burning fireplace. I’ll have pictures of the new one later this week once it gets installed. But this picture shows a good view of the construction of old homes up here. The wood on the wall is 1″ thick redwood. Makes hanging those pictures pretty easy. You don’t have to hunt for studs with construction like that.